Over the last 18 years our customers have asked us to add additional services to our core business of interior and exterior painting. Now we perform a variety of painting related work which enables our customers to use Michael's Painting Company throughout the entire year. By offering these services, clients receive the convenience and time savings of calling one contractor to do the entire job. We have crews to service Abbotsford and surrounding area, which means we can promptly schedule a dedicated crew to your project from start to finish. We have excellent customer service and employ experienced, trained, and professional crews. People have really come to appreciate that the "Michael's Painting Way" now means more than just outstanding painting. We have liability insurance and full WCB coverage. Sherwood Painting & Decorating Ltd. (Sherwood Painting) is a residential, commercial and strata contractor for exterior and interior painting in Metro Vancouver and the Fraser Valley since 1998. 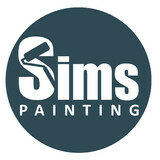 Mike Ponych, a professional painter and general manager is the owner of Sherwood Painting. We offer both interior and exterior painting services to our residential clients. From painting the fascia and trim on the exterior of your home to a complete interior repaint. 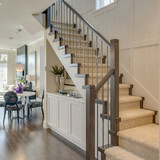 Sherwood Painting also works directly with several residential new home builders, general contractors, renovators, architects and interior designers in the Metro Vancouver and Fraser Valley area on all types of residential new home and renovation projects. We offer a variety of interior and exterior painting services to our strata customers. This includes caulking, water-proofing and power washing. Our painters our trained in safe workplace practices to ensure your project is performed with both safety and quality as top priorities. Sherwood Painting has $5,000,000 liability insurance and is a member in good standing with the Better Business Bureau since 2002 – with no complaints in the last three years. We are also accredited with the Greater Vancouver Home Builders Association and are current with WorkSafeBC coverage for all of our employees. Our commitment to quality and ability to get the project done on time and on budget makes us a clear choice for all your painting needs. Sherwood Painting offers professional quality and exceptional service without compromise. Discover Our Trademarked "Peace of Mind Process" * Residential Home and Condo Repaints * Resale and Rental Repaints * New Construction and Renovation Repaints * Self managed Stratas * Commercial * Kitchen Cabinets done in home We take pride in beautifying your biggest investment. We start with protection of all contents and extreme preparation of all substrates before high quality paint is applied. Combining a true passion for painting with business acumen, Owner and She.E.O. Tanja Powell established Powell Painting in 2006 to share that passion with discriminating clientele. We understand that your home is a reflection of you; it's your refuge so careful consideration is given to each homeowner's unique preferences. Tanja consults with each client personally to ensure your needs are met from the creative vision through to completion. Through careful selection of team members, Powell Painting has built a solid crew of dependable, high-quality people. Each team member has 5 to 40 years experience creating a combined average of 600 years of experience with our core crew. Through collaboration, creativity, and forward thinking we are able to tackle almost any challenge. Our team is not only skilled, they love what they do and are courteous, friendly people you will be happy to have in your home. And our trademarked "Peace of Mind Process" means we care for your home every step of the way. CC Painting, hardworking and dynamic team, not afraid of challenges. We love our job and is reflected in our work. 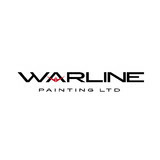 We can help you with all your painting projects with affordable pricing and 100% satisfaction guaranty. Whether you want your outside to look fantastic, your inside to feel comfortable, or both, Reflections is there to help you make it happen! With over 25 years of combined experience behind us, we can handle all of your home beautification and renovation needs. We are locally owned and operated and specialized in Residential Painting and Commercial Painting in addition to Residential Renovation and Remodeling, such as Bathroom Renovation and Kitchen Remodeling. AZ Painting is a Vancouver-based company focusing on residential interior and exterior painting. At AZ Painting LTD., we work hard to exceed your expectations by providing excellent and professional customer service and not only an great craftsmanship. With more than 30 years’ experience, we’re experts who pay attention to the details in every project; we complete all our painting projects with our experienced in-house AZ Painting painters. At AZ Painting Ltd. we provide painting, pressure washing, waterproofing and caulking services for residential, commercial and multi-residential buildings. Amir Z. established AZ Painting Ltd. in 2011 as an father and sun both provide painting services to Metro Vancouver and surrounding cities. With an background of Asian and European, both father and sun bring combination of 30+ years experience to the field and 6 years business establishment to the community of Vancouver, Burnaby, Coquitlam and surrounding cities. The young entrepreneur started working with his father at the age of 18 and learning painting techniques and expanding his painting knowledge at well established companies who he performed duties as an employee to multi-residential to commercial projects. With knowledge to over a thousand coating products from acrylic, elastomeric, staining and epoxy products, you can be assured that at AZ Painting premium products and the right work has been done. We strongly believe in performing the best possible to your project and notify to aspects of your building that require attention. Painting & wallpapering for residential and commercial spaces. Based primarily downtown and immediate surrounding area from Main Street westward.